Best deals in fresh and resale ! VVIP Addresses is the new sublime creation of residential property by Vibhor Vaibhav Infrahome in the Ghaziabad. These well-designed homes are located in the prime location of Ghaziabad. The opulent spacing 2BHK, 3BHK, 4BHK and 5BHK apartments, penthouses with pooja room, study room, store room and servant quarters respectively, at affordable rates that are well equipped with all the latest facilities and amenities. Live the VVIP way of life at VVIP Addresses. So, grab this opportunity and book your apartment today. In which area is VVIP Addresses located?The project is situated in Raj Nagar Extension, Ghaziabad. What is available flat size in VVIP Addresses? Flat sizes in the project range from 935.0 sqft to 6300.0 sqft. 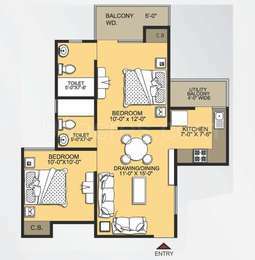 What is the 2 bedroom size in VVIP Addresses? 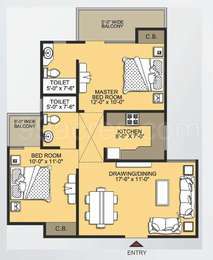 2 BHK units in the project are available in a size of 935.0 sqft to 1230.0 sqft. What is the 3 bedroom size in VVIP Addresses? 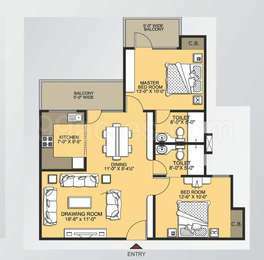 The area of 3BHK units in the project varies from 1400.0 sqft to 2085.0 sqft. What is the area of 4 bhk in VVIP Addresses? The size of 4BHK units in the project ranges from 2475.0 sqft to 6300.0 sqft. How much is the actual area of VVIP Addresses?The area of the project is 25.0 Acres. What is the availability of rental units in VVIP The Addresses, especially 2BHk apartments? Bharat ji, as per the ongoing price trends in Raj Nagar extension a 2BHK apartment on rent is going to cost you somewhere between Rs 7,000 to 15,000 per month and the RWA is charging Rs 2 per sq ft for the maintenance. However, many residents complain about the poor maintenance and unsupportive management staff. It is preferable to speak with a few residents on your site visit to know the current situation. A local property dealer told me that there are several units that are available for rent in VVIP The Addresses which you can easily get on rent.  You can get in touch with local property consultants or contact the owners through property portals like 99acres. 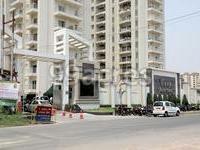 @Udit, VVIP The Addresses is developing in phases. Its first phase has already been delivered and the second phase is expected to be delivered by the end of October 2018 [RERA registered with UPRERAPRJ2499]. The price range of units here starts with Rs 40 lakh and goes up to 70 lakh. It offers facilities such as lifts, swimming pool, attached shopping centre, sports arena, among others. If you are interested in making a purchase here, you may contact the interested property owners through 99acres or contact the developer directly for near-ready units.